To tell the truth, I do not like "erdadi3" at all, but there is a long story behind. I had a Disney account created long before Disney Infinity was launched. When the game was released, my account user name (Dadi) was somehow duplicated and I could not access my account any longer. I contacted Disney support and they offered me a set of user names to choose. "erdadi3" was the best of them (you can imagine the others ). Now, Dadi has been always the nick I (we) use for everything, and its origin is very simple: DAvid + DIego = DADI ^^. My brother and me are software engineers, and we also have a third little brother (15 years younger). 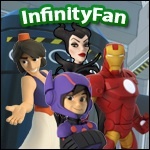 We saw in Disney Infinity a great opportunity to introduce him to the programming principles. But we also love Disney, collectibles and modeling, so, if we tie this together we had the perfect excuse to buy the game and the accessories. If I have to choose, my favorite play set is Cars. It is simply perfect, the landscape, the buildings, the characters and the details. Also, the playable minifigs are very well integrated in the environment. Aladdin. When I was a child I watched that film like 2 hundred times! I also had the Aladdin S-Nes video-game which I completed another 2 hundred of times. I think Aladdin is my favorite Disney film. 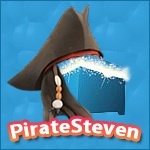 I do not have a lot of Power Discs, but if I have to choose one it would be "Captain Hook's Ship". When I visited Disneyland Paris (about 20 years ago!) one of my favorite rides was "Peter Pan's Flight". In that ride you were inside a ship just like the power disc one and I have very good regards of it. We have had Disney Infinity since Christmas, but we didn't start to build Toy Boxes until having almost all the vault toys and play sets. Regarding the Toy Box challenges, we are very selective. Our time is pretty limited and we only can create about one Toy Box per month or so. We proceed this way: When Toy Boxes challenges are announced each month, we select one, preferably one that we have time to do (usually not the first challenge). Then we draw several sketches of the world we want to build according to the story we want to incorporate. Then we start building first the scenery and lastly the logic. Tricky question . Until now, all our Toy Boxes (3) have over 24 hours of building time. We spend a lot of time with the details, removing less important blocks to put others. All of our Toy Boxes are practically at the limit of blocks meter. 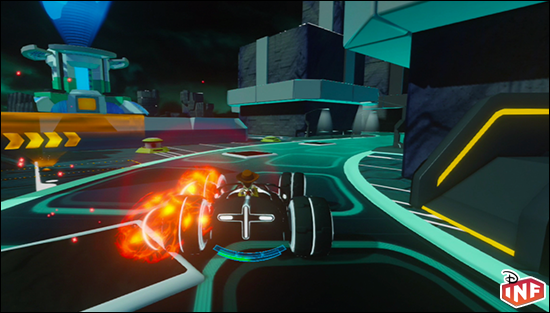 Your Tron City Race toy box was selected as a featured toy box in the Tron Challenge. 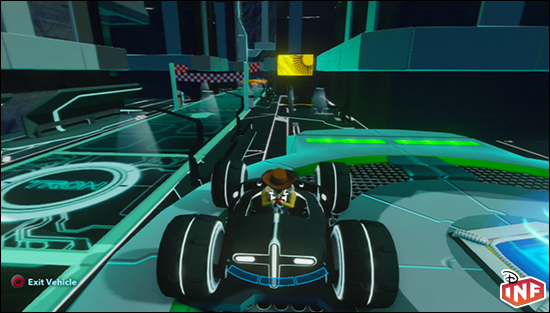 Please give us some Inside the Toy Box details on your Tron City Race toy box. Although the Tron film is very old, I always loved it. 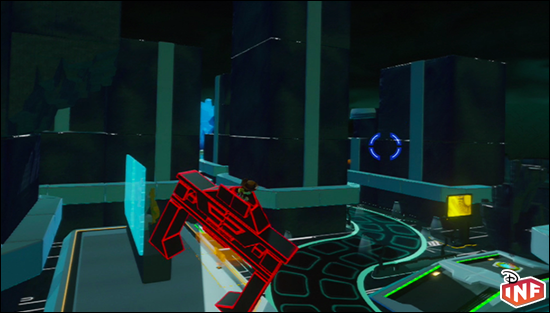 When Tron Legacy was released I was amazed with the look of the new Grid. 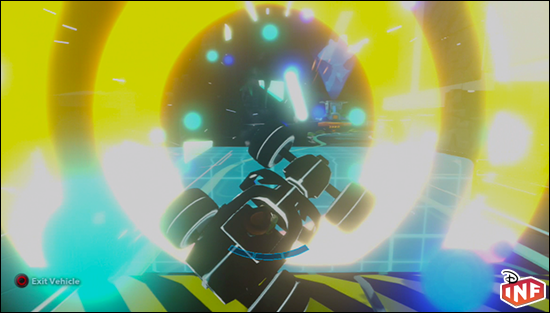 To be honest, "Tron City Race" was not the best name for the Toy Box, we realized that after we submitted the Toy Box but... You know, when translating films and names sometimes you lose the meaning that you want to transmit. When I saw Tron Legacy I saved an image in my retina. It was the scene where Sam exits Flynns arcade in the Grid and he sees those tall lighting buildings. I told myself... well, if I want to create a Tron Toy Box, I need a way to reproduce that, try to transmit the same feeling. So I watched the film again and took some pictures of The Grid. After that I started building, the circuit first and all the decorations and buildings later. I will tell you a secret: I hate the circuits where you have to fight to maintain the car in the track, without floor below it. So, I had another objective there, tie the track to the floor and still make it fun to play. When I build something I want to generate the desire to be there, to make it as uniform and realistic as possible. (Oh well, maybe realistic is not the word in Disney, lets say fantastic!) This can be only achieved by paying special attention on details and small things. 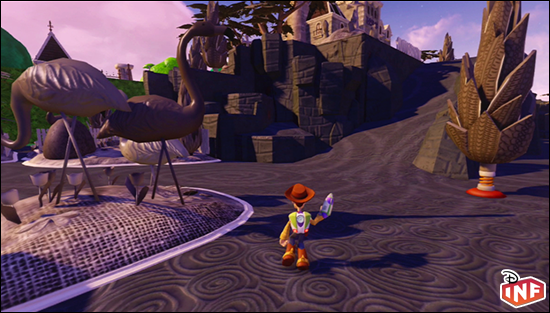 The characters are very small compared to the smallest terrain block, so you have to give continuity to the terrain blocks using other elements such as plants, flowers, trees, barrels, boxes, etc., and that is a very big challenge taking in mind the limited amount of blocks you can put in a Toy Box. 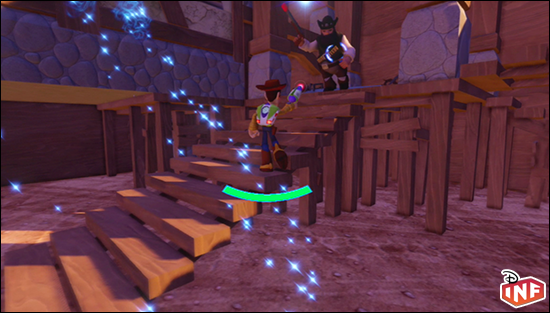 One of the things I try to achieve when creating Toy Boxes is to make all the encounters or minigames replayable. Doing this involve some tricky logic, but players may find this very interesting. 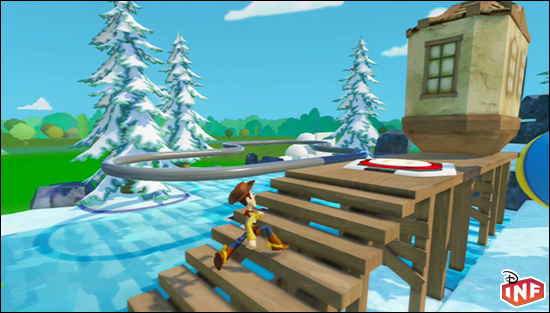 You can, for example, finish the Frontierland Toy Box and start it over and over again without having to reload the Toy Box. Another point is that I also love Lego and have been playing with them since I was a child (at the moment I may have over 50k Lego bricks!). I think that is a very important point while designing Toy Boxes, to have such a space vision that only Lego can provide. 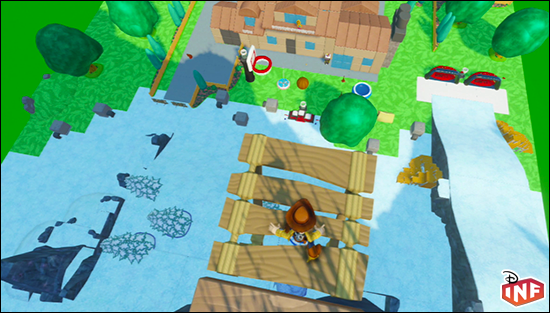 I already built small worlds much longer before Disney Infinity (even video games) existed!. Well, I have only built 3 at the moment, but my favorite one is FrontierLand DLP. I love theme parks and specially Disney parks (although I have visited only one!). I used to play a lot to Roller Coaster Tycoon games creating Disney parks and I wanted to have the same feeling creating this Toy Box. I think that the result is fantastic, the Main Street, the Castle (Disneyland Paris castle is from Sleeping Beauty, I am making a paper model of it!)... I will tell you more about this Toy Box in the next question. 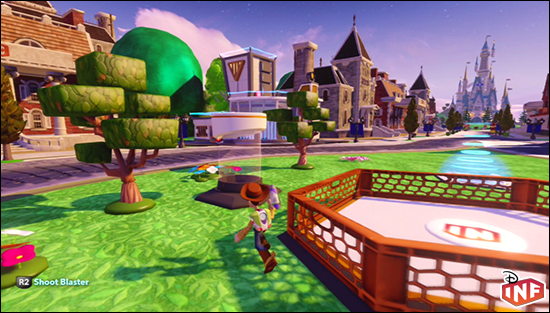 Your DLP Frontierland toy box was selected as a featured toy box in the Disney Parks 2 Challenge. Please give us some Inside the Toy Box details on your DLP Frontierland toy box. When I decided to participate in this challenge, I started by playing again all the featured Disney Parks Toy Boxes and the official one. There were a lot of good ideas, I loved specially the Indiana Jones ride. But I wanted to do something different, nothing purely based on a ride. I wanted to create a park (well, part of a park) and give players the possibility to feel, watch and enjoy the environment, just like they were visiting it. But that was not enough, I had to give sense to the Toy Box, an objective. This was particularity difficult, how do you put an objective on visiting a park? I wanted to make some playable content in the Phantom Manor, so I decided to put the objective there and create some other encounters in the way to the Phantom Manor. 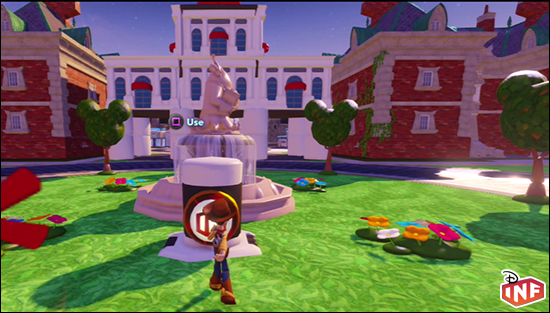 When the video announcing the challenge was posted I was very worried, because the example Toy Box was a haunted mansion, exactly the same that I had in that moment, but well, it was already done and I was going to be out of Spain that week, no chance to modify anything. It is hard to choose one, there are a lot of amazing Toy Boxes out there and incredible builders within this community, but if I have to select one it would be "Al's Quest". As I said I love Aladdin, and this Toy Box is perfect. 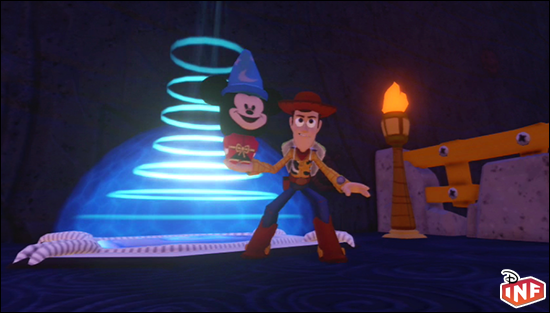 The whole Toy Box is a story from the beginning to the end. When I saw the Cave of Wonders, the Toy Box took all my attention. There was a lot of action and different scenes from the movie came to my mind. The final part of this Toy Box is just spectacular! I am lucky in this aspect, I have only submitted 3 Toy Boxes and all 3 were featured. I always wanted to do someting related with Peter Pan, I love pirates theme, so maybe I have an opportunity with the Neverland challenge! I have to watch the film again and harvest some ideas, but I have the objective very clear. 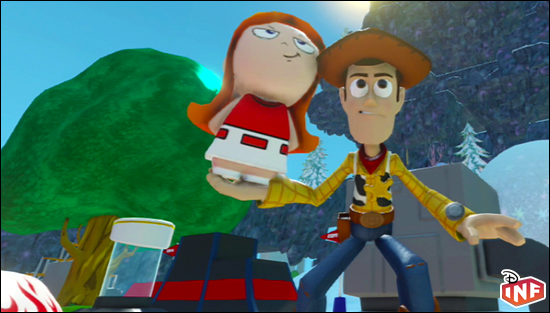 Your Summer-Winter toy box was selected as a featured toy box in the Phineas and Ferb Challenge. 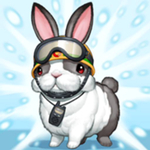 Please give us some Inside the Toy Box details on your Summer-Winter toy box. Although many of you won't believe it, this was in fact my first Toy Box. I created part of this one in February (of course without the Phineas & Ferb content). 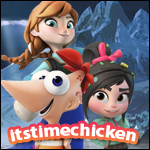 I knew that Phineas and Perry were going to be incorporated to the game in April, so it was only a matter of time that a Phineas & Ferb challenge was out, and finally it got announced! So, I worked hard during that week in order to replace old fences, terrain and some decorations with the Phineas and Ferb content in order to have it ready for the challenge Another good history here is that I bought Elsa Queen figure only to get the giant snowballs because I wanted to incorporate them in the Toy Box. I started the Toy Box just after watching (for third time) the S'Winter chapter in TV, it was like a revelation. 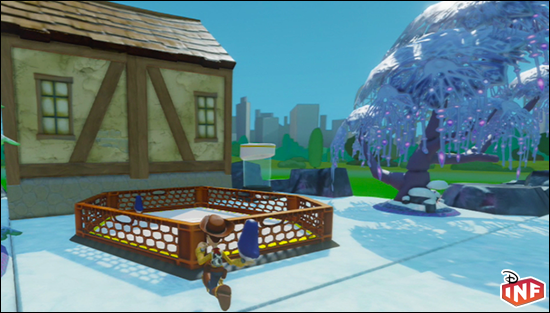 We created some sketches of how we wanted to create the snow mountain and the overall toy box and we started building it. I also wanted to talk a bit about Phineas and Ferb. When I was a child I enjoyed a lot watching a TV program called "Club Disney" in our Spanish TV. That program included some Disney series such as Ducktales, Darwin duck, Chip&Dale, Aladdin, Talespin, and a long etc. Now, we have a dedicated TV channel for Disney (Disney Channel) and, when my little brother is watching it I only want to cry... WHERE are those awsome series? everything you see now there is related with Music, or "I want to be a star" and such kind of programs... I see in Phineas and Ferb the only quality program that maintains the spirit of those old series that I enjoyed so much. 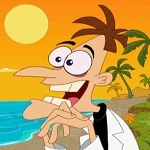 I feel myself and my twin brother a bit identified with Phineas and Ferb, maybe that's why I like them so much. Do you place any hidden features in your winning Toy Boxes? 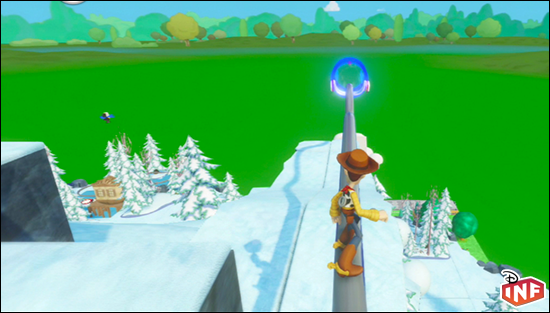 Tron map does not have anything, but there is one in the Frontierland map. If you look inside the castle there is an activator that changes the camera to the castle and starts playing fireworks until you leave the activator. Usually I do not have much free room to create such things, but I wanted to do this one specially. Automatic gates are also totally broken, they open always and I can't apply any logic to them. I have to use recorders and solid blocks instead, which does not have the same look and feel at all. Another problem I frequently have is with vehicles. While working on the Tron map it was just desperation. Every time I loaded the Toy Box, vehicles appeared in different parts of the map. I had then to search over the map (inside the buildings also), on the roofs, under the circuit... looking for black vehicles in a totally black map. It was crazy, not funny at all! To finish, the blocks limit is very low. I never had the possibility to put all the details and contents I would like in any Toy Box. I always ended removing some blocks and objects to put others. You can look at the Frontierland Toy Box, there is nothing behind the Big Thunder Mountain or behind the castle hehehe. Just one, imagine. Although there are a lot of toys and tools to create your Toy Boxes, the most important tool is your imagination. I recently bought a book titled "Disney Imagineering". It is very stirring and is worth a look. And to finish, one important advice... Never loose Disney magic. Some people tell me that I am very old to play with Disney (29), but I don't care, I like Disney, I like Disney films and I like Disney magic. Great interview... just an utterly fascinating read. From the first moment I saw pics of your Tron map I felt a slight tremor in the Force... I knew a great builder had just arrived. IMO you could just tell in the way you had constructed your map... everything just looked like it fit together in a logical way. And I so agree about Disney cartoons... early to mid 90's easily had the best ones... Duck Tales, Talespin, Darkwing Duck... it was all about grand adventure and that spirit of discovery. Disney cartoons nowadays are more about randomness and quirky humor IMO. Nice interview, and great read. While I do not share your block art-opinion, I can see your point of view in the matter. You've definitely proven that you do not need block art to make exceptional entries. ~ 13 featured toy boxes so far! O.O Someone else feels that block art is a shortcut!? Glad I'm not the only one. Although I was thinking about block art for a possible submission, I'd want it to blend in with the world. A very interesting read! 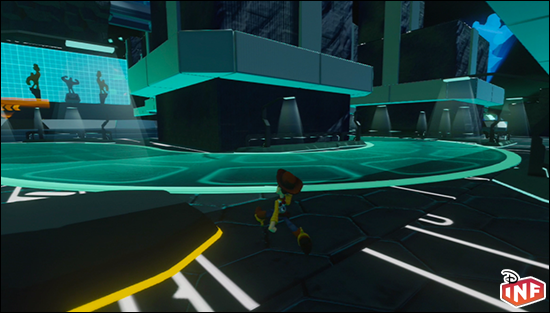 Your toy boxes are very in depth and they definitely feel like a mini chunk of the world you're trying to emulate. I totally see your point on block art as it really doesn't fit in with the idea of creating a toy box sized piece of a Disney world. However, I am awed both by the well done block art, like Finn-Warrior's giant Agent P or Ralph's Rumble's giant Ralph head arena, and the in-depth I-think-my-Disney-character-could-live-here worlds that designers like you create. I think both philosophies have equal merit as both can invoke equal awe. Nice interview! btw I LOVED your Summer Winter toy box! Thank you all for your comments! I knew that the block art topic was going to create some controversy here. Please don't take it as a criticism. I totally understand both points of view and there are incredible statues made with blocks. For example, Oswald statue from Papa Echo or the giant Agent P from Finn are amazing buildings that fit very well in the maps. I'm just saying that I prefer to create worlds that don't require them. @T&T I agree with you. I think I have mentioned it in any other post, but I love the care you put when placing blocks and the level of detail you try to maintain in all your maps.